The original Burlington argyle sock represents quality at its very best. 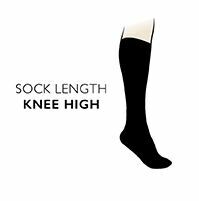 Made from luxury materials, these classic design knee high socks are the ultimate in exclusive chic, with a super-smooth soft touch that's gentle on your skin. Contemporary but with a timeless quality, these understated but stylish socks suit any style from smart casual to formal officewear. The socks come complete with the Burlington branded stud as a mark of excellence.